An Introduction To Melodic Rock � Possibly the hardest part of writing a beginner's guide to melodic rock is actually deciding what does and what doesn't fall under that banner. Researching through books and the internet led me to the conclusion that melodic rock, possibly more than any other genre, would appear to mean extremely different things to different people. For some it is merely an extension of AOR, however at the other end of the scale more overtly heavy metal bands such as AC/DC or Accept could fall into this genre. Some suggestions have melodic rock down as a recent invention that covers the new breed of bands mainly from Europe that play a harder edged, yet keyboard influenced style. What would also have seemed to muddy the water somewhat is that as the metal genre has become broader and as extreme metal bands have grown, what was once metal or hard rock, has now fallen into the melodic rock category. Whilst there is no doubt that for some what I will include in this article will not constitute their idea of melodic rock, I will try to be more inclusive than exclusive with what is covered. What is melodic rock?- To me melodic rock is a very broad description which encompasses a wide and various section of sub-genres as diverse as the heavy boogie of southern rock or the pout and hairspray of glam rock. What is indisputable is that melodic rock is guitar based music, possibly embellished with keyboards that contain plenty of hooks, catchy choruses and memorable melody lines. Where did it originate?- Whilst not really falling into this category, it's hard to argue that the Elvis Presley track "Jailhouse Rock" doesn't contain all the elements mentioned above, however for a more easily drawn parallel, look no further than The Beatles "Back In The USSR" and "Helter Skelter" or The Rolling Stones "Jumping Jack Flash", similarly The Kinks or Creedence Clearwater Revival have numerous songs that are obvious inspirations for much melodic rock to come . That's not to suggest that any of these classic acts would be described as melodic rock, however beef up those tracks with harder edged guitars, as in fact they all have been as cover versions and indeed they easily become the blueprint that many a melodic rock band would follow. A more easily drawn parallel starts to be heard with classic rock acts such as Free and Bad Company or possibly Deep Purple and Uriah Heep. Whilst still classic rock, the likes of Led Zeppelin and Black Sabbath are more obvious influences for heavy metal although having said that, the former can be heard in the music of some melodic rock bands. Where is melodic rock going? � With grunge having swept away most of the melodic rock scene that ruled the airwaves of the seventies and eighties and in essence driving the whole genre underground, it would have seemed that the answer to this question became - nowhere fast, with only the likes of Nickleback flying the flag for melodic rock in the mainstream. However with cracking comeback albums from Whitesnake, Scorpions, Winger and Kiss, the formation of the excellent super group Chickenfoot and a multitude of young bands reinvigorating the scene, all of a sudden melodic rock is going from strength to strength again. Where do I start exploring melodic rock? Finding one book that adequately covers all the styles that can fall under the melodic rock heading is virtually impossible. 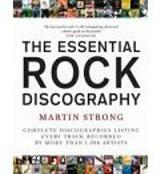 However, along with music too heavy and some too soft to fit into the genre, Martin Strong's The Essential Rock Discography and the off shoot The Great Metal Discography list many, many bands that will give you a melodic rock fix. Brief histories of all the bands mentioned along with full discographies and album ratings, makes these great books to dip in and out of and a wonderful reference tool. PART I- CLASSIC ROCK � The initial shock of rock and roll had created an avalanche of ever more daring and experimental bands and styles, however it was the pop meets rock and blues focus of bands such as The Beatles, The Rolling Stones, The Kinks and Creedence Clearwater Revival that would open the door for the music that we now refer to as Classic Rock. 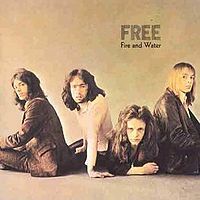 Possibly the first band that really had all the essential elements of melodic rock were Free whose enduring 1970 hit "All Right Now" created the hard rocking blues bedrock of instantly memorable, yet tough guitars, a throbbing bass line and pulsing drum beat which even without the music would tell you which song you were listening to. Add to that a stunningly good vocalist in the shape of Paul Rodgers and a song of such potency, that forty years down the line people young and old can still sing it, was born. Around the same time as Free formed a whole host of new rock bands who would shape the sound and style of rock music right up to the present day were coming together. 1968 saw Free along with two bands on the edge of melodic rock, Deep Purple and Uriah Heep forming, a year later UFO and Thin Lizzy joined the fray and once Free had dissolved through inner wrangling and the drug induced breakdown of their guitarist Paul Kossof, Paul Rodgers and Free drummer Simon Kirke put together Bad Company. Whilst the Purple and Heep held more sway over the legions of heavy metal bands that would come and go over the next three decades, the use of organ and keyboards in their music would make a lasting impression on melodic rock. The bluesy swagger of Thin Lizzy, UFO and Bad Company had a far more obvious impact on the music of the next movement of melodic rock. 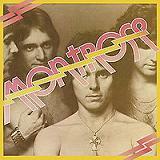 All the bands so far mentioned are British, or Irish, however in the shape of Montrose, America also had an outfit who can claim to have shaped much of the harder end of melodic rock. Ronnie Montrose was another guitar innovator who when teamed up with the then unknown vocalist Sammy Hagar released two albums that really would whet the appetite of the US for hard edged guitar led melodic rock. Bad Company � Bad Co.
PART II- MELODIC HARD ROCK � Whilst classic rock was still in full swing, younger bands were already coming onto the scene with similar basic interpretations of hard rock, however American bands like Aerosmith and Kiss had their own ways of presenting the genre. Aerosmith stuck pretty close to what had come before, although they added a little more cocksure swagger to the sound along with a slightly more melodic and bluesy approach and the ability to pen some wonderful slower tracks such as their classic hit "Dream On". Kiss on the other hand relied far more on visuals to gain mass attention, as they employed face paint and massive stage shows. However a quick listen to debut album standards like "Strutter" and "Cold Gin" left no doubt that they could also pen catchy, if more simplistic songs and from their third album "Rock And Roll All Nite" may actually be the first rock "party anthem". As the older, classic bands started to take on more "dinosaur" status, two young guitarists would hit the scene that really would begin a landslide of fret blazing, yet melodic six string slingers. In 1978 Van Halen released their self titled debut album which featured Eddie Van Halen on guitar. His amazing talent with the guitar immediately created a swathe of copycat players desperate to match his majestic riffing, audacious solos and amazing fret board finger tapping techniques. Two years on and a rejuvenated Ozzy Osbourne, fresh(ish!) 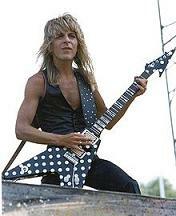 from his departure from heavy metal legends Black Sabbath, returned with a far more commercial, yet hard rocking sound and a young guitar wizard called Randy Rhoads. Ozzy's first solo album Blizzard of Ozz, sounds fresh to this day, mainly due to the combination of Rhoads stunning chunky guitars that drove every track and Ozzy's glorious, unmistakable voice. 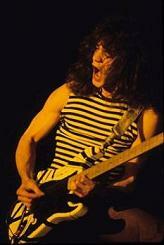 Not as flashy as Eddie Van Halen, Rhoads created heavier sounds, yet he still found time to excite with his amazing dexterous technique. Tragically Rhoads was killed in an aeroplane crash just two years later, however between 1978 and 1982 these two precocious talents had raised the standard of what a melodic hard rock lead guitarist needed to stand out from the crowd. With the hugely successful template in place, America set about championing a huge amount of melodic hard rock bands that would at first continue to invigorate the sound, with the likes of Dokken, Y&T and latterly the grittier Tesla at the forefront. Later on as the movement became more and more crowded it was harder for bands to really stand out from one another, some like Skid Row did so with their arrogance and attitude, whilst others with a less obvious "angle", such as Tyketto released fantastic albums of sublime melodic hard rock to little or no acclaim. 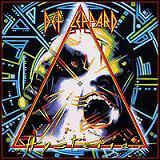 What made gaining a foothold in this, at the time, ever expanding genre even harder, was that by the mid eighties, the old leaders of the pack had wised up to the fresher, more commercially successful sound of the young guns, with Kiss finding their own guitar whizzes in the shape of Vinnie Vincent and then Mark St.John, and Aerosmith also reinventing and updating their sound to great effect. With all of the above bands being American, you could be forgiven for thinking that this was the only country to produce this style of music and while they did garner most of the media and fan attention, there were many bands from far and wide that contributed hugely to the genre. Most prominent of those would be the Scorpions who hail from Germany and boasted in Rudolf Schenker a guitar God all of their own. Between 1979's Lovedrive and World Wide Live six years later, they really blazed the trail for European melodic hard rock. From Canada there was the power trio Triumph and the under rated Coney Hatch, whereas Japan even got in on the act with Vow Wow and their keyboard heavy hard rock. The UK, who had led the way with classic rock, never really got the same foothold in the melodic hard rock scene, however bands such as Praying Mantis who were lumped in with the New Wave of British Heavy Metal, were and still are in fact, pioneers of British melodic hard rock. Having said that two of the biggest and most successful exponents of melodic hard rock also came out of Britain, as after two impressive albums Def Leppard made the break through with their third and fourth releases Pyromania and Hysteria. Both sold phenomenal amounts in the UK, Europe and the US, with their mix of British grit and humour, along with an American sheen from producer Robert John "Mutt" Lange being perfect for the times. 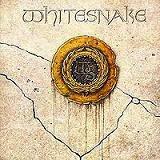 Reinventing themselves for the huge US market Whitesnake had phenomenal success with their 1987 album and while their loyal following up to this stage of their career felt betrayed that the band had ditched their earthy, honest hard rocking blues sound in favour of keyboard gloss and chart friendly sheen, a new and larger audience welcomed them with open arms. Others from the UK tried in the same vein, most notably Little Angels and Skin, however no other UK band could break globally. As with everything that gets too big for its boots melodic hard rock, along with all other melodic rock sub genres eventually lost its grip on the paying music public and the advent of grunge swept many of the bands away. 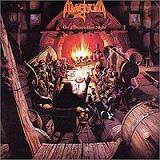 However recent times have seen a resurgence in interest in the bands that weathered the storm. Thankfully there has also been an influx of new young bands coming through, with the US's Machines Of Grace and Rage And Beyond, the UK's Heaven's Basement and Decadenze, Spain's Eldorado and the multinational Eden's Curse leading the way. Add to that the phenomenal debut album from ex Van Halen and Montrose singer Sammy Hagar with his old VH bassist Michael Anthony, alongside guitar shredder Joe Satriani and drummer extraordinaire Chad Smith under the unlikely name of Chickenfoot, and there can be little doubt that melodic hard rock is back and meaning business. PART III- MELODIC SOFT ROCK � The line between soft rock and AOR is extremely fine and in places blurred out of vision completely, however with the mega success of classic rock and the emergence of AOR, it was a natural step that bands would become inspired to blend the two styles into a new, if familiar sound. Classic AOR acts such as Journey, Toto and Foreigner had already proved that there was a growing audience for keyboard led rock music that still allowed the guitars to be an integral part of the dynamic. Foreigner and indeed Boston are examples of groups who spent most of their time firmly in AOR territory; however with Boston's mega hit "More Than A Feeling" and the likes of Foreigner's "Hot Blooded" the keyboards were forced into the back seat in favour of a harder edged guitar delivery, causing them to spill over into melodic soft rock waters. There have been through the years countless bands that cross this boundary with the likes of Survivor, Giuffria or Crown of Thorns being AOR one minute and melodic rock the next. Possibly one of the best exponents of Melodic Soft Rock, started out as a band with more in common with MHR and heavy metal. It took ex Deep Purple guitarist Ritchie Blackmore to make the courageous step of deciding he wanted his band Rainbow to have more chart recognition to change the direction of his music. This bold decision also resulted in him ousting the prodigious vocal talent of Ronnie James Dio from his band and initially replacing him with Graham Bonnet. The resultant album Down To Earth is still a classic of the genre, with the single "Since You've Been Gone" becoming a massive and enduring hit for the band. That combination of Blackmore and Bonnet didn't last long, however undaunted Ritchie recruited Fandango singer Joe Lynn Turner, who would feature on a further three albums and sing on the soaring "I Surrender", which epitomises the melodic rock the band were now producing with ease. Once Blackmore accepted the invitation to rejoin Deep Purple, Turner used his higher profile and vocal talents to become involved in countless projects and bands that would continually release top notch melodic rock. His 1985 solo album Rescue You being possibly the best, however his work with Brazen Abott and the more recent Sunstorm are also worthy additions to any rock collection. 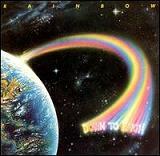 Rainbow were however anything but alone, with the likes of Night Ranger, who gained massive success in the US, a rocked up Heart, who had previously been more folk rock oriented and Streets, who were formed by Kansas singer Steve Walsh with City Boy guitarist Mike Slamer. Streets would release two mighty albums in the shape of 1983's 1st and Crimes In Mind two years later, Walsh then reformed Kansas, however Slamer would feature as a session musician and writer on other excellent melodic rock albums by acts such as Fiona, House of Lords and Warrant, before forming Steelhouse Lane and also releasing one tremendous solo album. 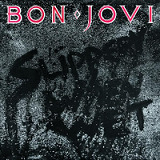 With countless other melodic soft rock bands also coming through at the time, it was only a matter of time before one would really hit the big time and with 1986's Slippery When Wet becoming a global phenomenon, Bon Jovi were that band. However with their slick sound and huge production, they not only set the standard for other bands trying to make it, they also set the timer on the bomb that would come close to destroying the genre. I suppose that's not strictly fair on Jon and his boys, as the likes of "hair metal" bands like Poison and Pretty Boy Floyd, along with the overblown egos of Guns & Roses made the whole genre ripe for the picking and bloated to the extent it wouldn't take much to burst the balloon of success for these bands. Slippery When Wet truly set the bench mark for melodic soft rock bands both in terms of style and success and over the next five years or so the amount of bands from across the globe that tried to ape that sound grew to truly ridiculous proportions. As with any mass bandwagon jumping within the music scene, there were many bands who could actually cut it as writers and performers, with the likes of the bluesy Cinderella, the funk rock of Extreme or the pomp rock of House of Lords being amongst the best examples of bands that with hindsight deserve more credit than some quarters gave them. That said, there were countless groups that gained sales and recognition for some tremendously average music. The likes of the aforementioned Pretty Boy Floyd, or the Lorraine Lewis fronted Femme Fatale being perfect examples of bands that garnered huge media interest purely on the back of image, or in the case of Miss Lewis, looks. Bon Jovi themselves were to be truthful, blameless in this turn of events, as their breakthrough album and the follow up New Jersey which was released in 1988 are crammed with good time rock that captured the heart of the masses and did so by having memorable choruses, catchy hooks and some excellent musicianship, especially from guitarist Richie Sambora. It is also worth noting that both albums contained numerous co-writes by a certain Desmond Child, who has played a huge part in the success of this genre. His songs "You Give Love A Bad Name" and "Livin' On A Prayer" from SWW and "Bad Medicine" from NJ, are among Jovi's biggest hits and Child would go onto, or had already, written hits for everyone from Kiss and Aerosmith, to Joan Jett and the melodic rock convert Alice Cooper. However, by the time it came for the band to record, in my opinion one of their best albums, Keep The Faith some four years later, the musical landscape had changed completely and even a band at the forefront of the genre would find themselves clinging on for dear life in the face of grunge. It is easy to forget that during those years prior to the charge of Nirvana, Pearl Jam and Soundgarden among the many grunge imitators, that there was a huge amount of fantastic music released. From the U.S., White Lion, Giant, Slaughter and Crown of Thorns all recorded albums worthy of the over used term "classic", whilst possibly one of the most derided bands of the genre � Winger � were actually one of the most musically talented and varied of the whole movement. Torn apart on a regular basis by MTV cartoon characters Beavis and Buthead, Winger became the archetypal "hair metal" band to be laughed at and avoided at all costs. Whether it was the designer stubbled good looks of the former Alice Cooper bassist Kip Winger, who also sang in the band, or just bad fortune that they were singled out, is impossible to tell. However listen to 1990's seductively melodic In The Heart of the Young or the tougher approach of Pull from three years later, to discover that Winger had more to say musically and lyrically than almost all of their peers. The fact that their drummer Rod Morgenstein teaches percussion at Berklee College of Music in Boston, that guitarist Reb Beach has been a member of the reformed Whitesnake for some considerable time and that Kip himself has released some enigmatic and thought provoking solo material alongside a classical piece of music currently being used as a backing for ballet, should illustrate the level of musical proficiency in the band. As with melodic hard rock, at its peak soft rock was also dominated by American acts, however it would be very wide of the mark to suggest that there weren't bands more than capable of matching their US counterparts. Whilst their debut album Out of the Silence was pure AOR bliss, Dare from the UK's follow up album Blood From Stone beefs things up a little with the fine guitar work from Vinny Burns much more to the fore. Also from Britain were AOR/MSR/Pomp crossovers, Shy, who have released many fine albums of melodic soft rock. As ever mainland Europe took a slightly different angle on the genre, with the keyboard heavy band Europe from Sweden and their albums The Final Countdown and Out of This World from 86 and 88 respectively blending almost an almost poppy vibe to some fine guitar playing and Deep Purple like Hammond organ work. Whilst Norway's TNT, were the forerunners of the "Scandie" scene, which is worthy of an article all of its own due to its breadth and variety and therefore I won't be going into too much detail here. Their blend of big riffs and smart keyboards was a breath of fresh air, as was the humungous vocal talents of Singer Tony Harnell, who could hit notes previously unheard by man. 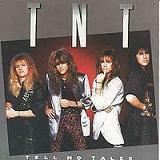 They made a sound that was totally irresistible, especially on the tremendous Tell No Tales album from 1987. As touched upon, the excesses of countless bands in the genre became more news worthy than their music and as the genre grew out of control the "style over substance" of many bands, led to fans yearning for something different, which ultimately came in the jeans and baggy jumpers of Kurt Cobain and Nirvana. As it was called, grunge appeared and almost overnight swept away nearly two decades of music and artists. The best did survive the onslaught of shoe gazing and angst, however the majority of bands were never to be seen again. Recent years however have, through record labels like Italy's Frontiers Records, the UK's Escape Records, German based AORHeaven/MetalHeaven, and the US's Perris or Kivel Records, seen a resurgence in melodic soft rock, although this re-birth has for the large part been ignored by America with Europe being the main market for the genre. The emergence of bands who have reinvigorated this style seem to broadly cross the lines between melodic hard rock, soft rock and AOR, with the likes of Brother Firetribe, W.E.T. - who feature another stalwart of the scene Jeff Scott Soto on vocals - H.E.A.T., Work of Art, Tara's Secret , State of Rock or the aforementioned Eden's Curse being excellent starting points in discovering some of the best new music in the genre. PART IV- SUB GENRES AND OFF-SHOOTS As discussed at the start of this article, the hardest thing to do whilst trying to write about melodic rock, is deciding what does and what does not fit into the box marked M.R. I know that for many I will have missed out bands they love, with the likes of Ratt, Motley Crue, Treat, or even Guns & Roses not getting a mention. There are literally hundreds, if not thousands of bands that could (and possibly should) be covered by an article on this genre; however I have attempted to focus on the bands and music that, to me, best illustrate melodic rock. There are however sub-genres that touch upon the scene that house some of the best melodic rock to be found. Funk Rock � Does exactly what is says on the tin by blending the main stream melodic rock of the 80's and 90's with pumping bass led grooves that lean heavily on funk sensibilities. The best known exponents of this style of rock are Extreme who became more famous as balladeers, however the main focus of their music was heard on the self explanatory "Get The Funk Out" single. Other notable bands in this category are Bang Tango, The Electric Boys and Baker's Pink. Sleaze Rock � This is where Guns & Roses fall, with their hip grinding, down and dirty rock and it is still possible to pick almost any song from their 1987 debut album Appetite For Destruction and hold it up as a perfect sleaze rock anthem. By the time they had rumbled into being the biggest rock band on the planet and a perfect example of exploit over execution, the band and especially singer W Axl Rose, completely believed their own hype. The follow up albums, Use Your Illusion Volumes I & II were over blown and bloated, however they still contain some great songs - but just think how good a single album release could have been. The disintegration of G&R is well documented and even though the almost Axl solo album Chinese Democracy, which took fifteen years to come to fruition is much better than most believed possible, it really isn't Guns & Roses. 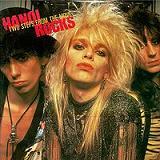 The often forgotten Hanoi Rocks were a huge reference point for G&R and as such are held by many to be the archetypal sleaze band. Michael Monroe's fantastic vocals and visually exciting stage antics were just the tip of the iceberg as musically they played a smart blend of dirty rock and roll with some poppy elements and a touch of harder edged savvy. Pomp Rock � Whilst much melodic rock contains more than a strong flavour of keyboards, pomp pushes them to the forefront, but without losing the potency and attack of the music. Some do it in a hard rock style, others with a style more akin to soft rock, however all do it with huge pompous keyboards that lead to a strutting sound that is almost arrogant in execution, but is still as accessible as any other form of the genre. Queen's early music can fall into this strutting, preening bracket, as can the progressively tinged delivery of Kansas, Styx or Angel, as all these bands mix stinging guitar playing with huge over-blown keyboards and grandiose, dramatic vocals. Other bands who also revel in this style of music are the UK's Magnum, and Saracen, along with US groups Starcastle and House of Lords, the later featuring the keyboard talents of Gregg Giuffria who also played in Angel and the more AOR focused Giuffria. The music of these bands is always, anthemic and uplifting and possibly finds the best mix of nearly all the styles covered in this article into one complete sound. CLOSING THOUGHTS � As I have touched on throughout this essay, many people will disagree with my take on what melodic rock actually is and which bands are covered. What I have attempted to do is to illustrate that MR has touched many genres, sub genres and bands. At one time the bands covered here could rightly have been claimed to be among the biggest and most successful in the world and as that popularity has ebbed and flowed with the masses, the one constant has been that the actual standard of music has remained remarkably high. Even during its bloated years of excess and the recent times in the doldrums there have been many, many albums that have kept the flag flying with fantastic anthemic, moving or simply good time rock and it says much for the genre that it would be possible to write another article of similar length and talk about equally good bands and albums not even mentioned here.